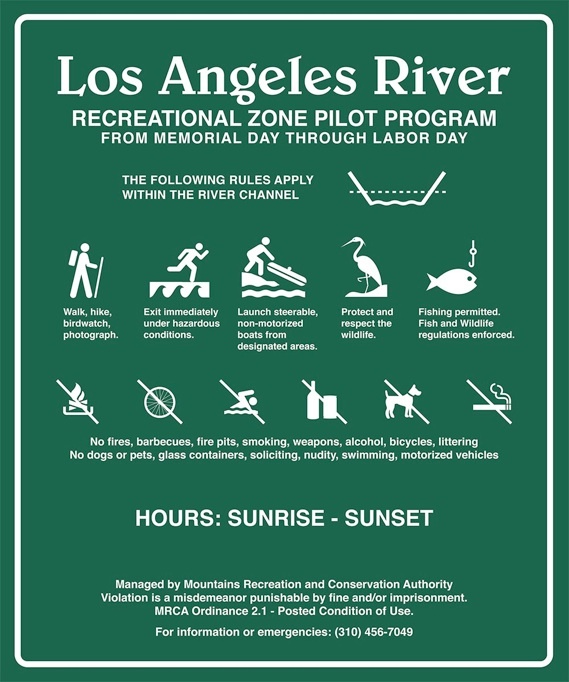 Thanks for all the information you’ve posted about the LA River over the years. I was finally able to make it to the LA River during my recent visit to California. My friend and I started at Marsh Park (near the 2/I-5) and did some exploring with our Tenkara rods. Wrapped up the day at Spokes Café. The LA River surpassed my expectations! Have been trying my luck near the Sepulveda Basin. No luck but any day outdoors no matter how cold, uncomfortable, or skunky beats a sedentary afternoon on the couch. Could be good for micro fishing though. I did find a section where the lake empties out into the river, and for what I can surmise as about 200 yards is a very nice looking stream. Were it not in Los Angeles, where it is, I would almost guarantee amazing fishing in these spots. You just have to ignore empty modelo 20 pack boxes sometimes though. Let me do some more exploring and maybe I can let you in on a more educated review.